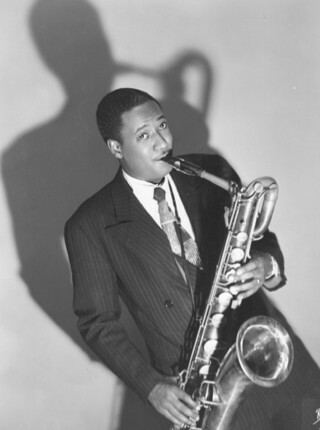 The unsung hero of the baritone-sax, Jack Washington never achieved much recognition but, along with Harry Carney, he was among the very first strong soloists on the baritone. He actually started off playing soprano sax when he was 13 before switching permanently to baritone. Washington joined Bennie Moten's Orchestra in Kansas City, Missouri right after graduating high school. He had short stints with Paul Banks and Jesse Stone's Blues Serenaders but otherwise was with Moten up until the bandleader's death in 1935. Soon afterward, he became a member of the Count Basie Orchestra and he was with Basie up until 1950 except for a period spent in the Army. Although not featured that much, Washington did have occasional solos and proved to be one of the finest baritonists of his generation. After the Basie band broke up, Washington moved to Oklahoma City, working as a redcap at the city's airport and only playing music on an occasional basis. 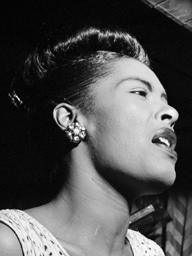 However he did record the Basie Reunion album (reissued in the Original Jazz Classics series) with fellow Basie alumni in 1958 and sounded in mostly-superior form, making one wish that he had eventually returned to jazz. Jack Washington never led his own record date.